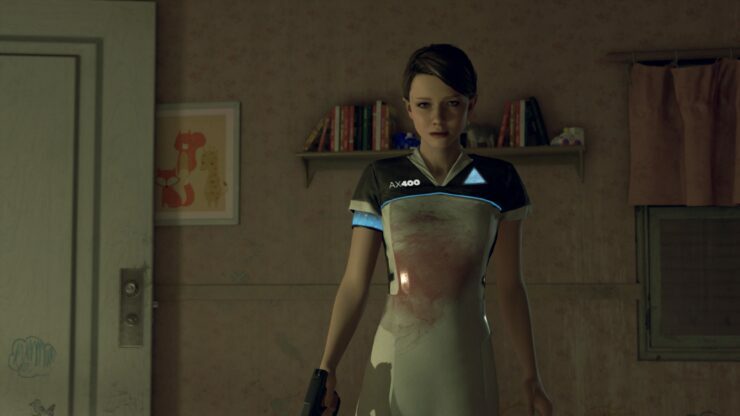 Quantic Dream’s PS4 exclusive Detroit Become Human has surpassed 1.5 million players globally since its release back in May of this year. The news was announced through the game’s official Twitter account earlier this morning. In addition to the amount of players, Quantic Dream announced that those players combined, played well over 20 million hours in total. Quantic Dream was released for PlayStation on May 25 of this year after being officially announced in 2015 during Sony’s Paris Games Week press conference. The game made its appearance at both E3 2016 and E3 2017. The title has been in production for four years. To say that Detroit: Become Human has some incredible character designs would be an understatement. Even as androids, the three playable characters have an impeccable sense of fashion, delving into different urban designs that could easily be spotted in the streets of modern-day Detroit. The facial capture is well executed, with just the right amount of plasticity to the machine-made characters that keep them right where they belong in the Uncanny Valley, while their human counterparts show a bit more emotion to their faces. Connor’s partner on the police force, a grizzled old officer named Hank that’s past his prime and an unmoving grudge against androids, is by far my favorite character in the whole story for their buddy cop dynamic (if by buddies, I mean considering Connor to be a tool and not actually someone to keep around as a friend, much less a robot butler).